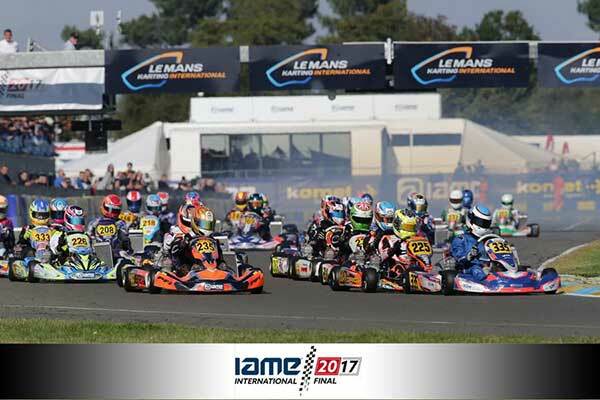 Australian drivers Kip Foster and Lachlan Robinson have both won heat races at the 2017 IAME International final at Le Mans. Foster, after qualifying 7th in X30 Master, has won two heats. 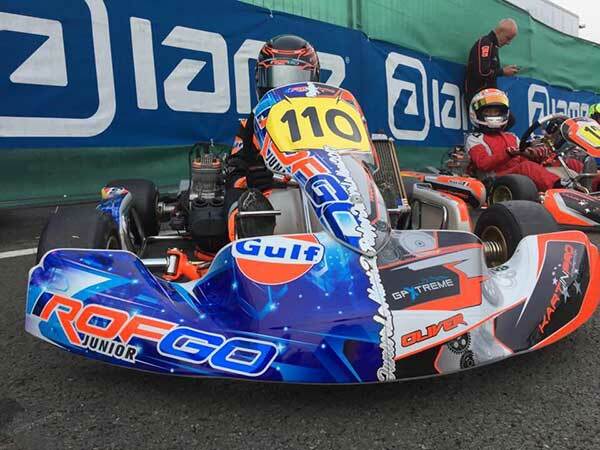 Robinson, who is competing under a UAE licence, qualified fastest in X30 Junior and has also won two heats. 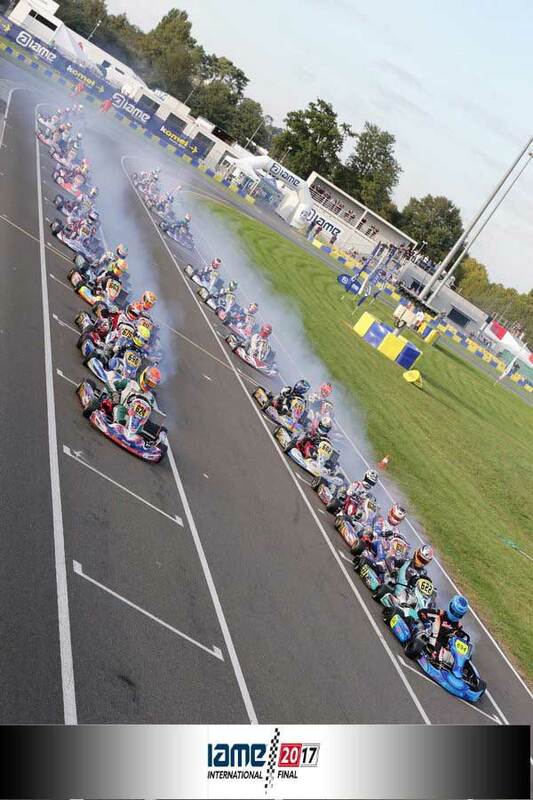 The first two days’ racing have been particularly hectic on the international Le Mans kart circuit for the Challenge X30 drivers who have come from all four corners of the world to take part in this very important final. Forecasts are open, but it looks like it’s going to be very difficult to pick out the podium finishers on Sunday afternoon as there are so many potential victory contenders and the gaps between the 450 entrants are miniscule. Several drivers have made a big impression in the heats, but it’s worth recalling that in 2016 the winner of the X30 junior category (Englishman Oliver York) was 130th and last in timed practice! So everything’s still up for grabs. The weather’s been sunny and dry so the drivers have run on a dry track since timed practice began with frequent spells of sunshine and clement temperatures. 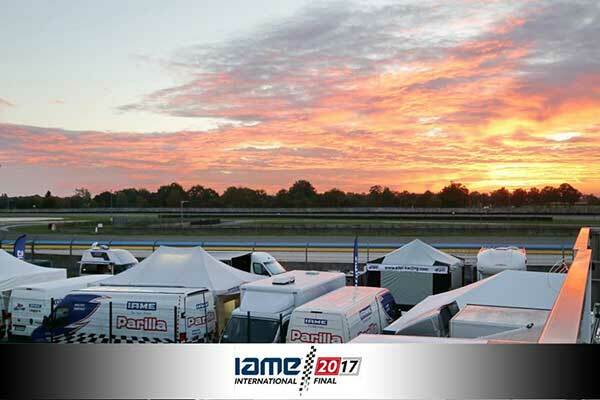 After official practice, which began on Monday 9th October, no fewer than 73 qualifying heats have been held to select in each category the 34 drivers who will take part in the final phases on Sunday 15th October. On Saturday evening after these heats the combined classifications will be gone through with a fine tooth comb after which the eagerly-awaited verdict will be announced. Consolation races will be organised for the drivers classified lower than 34th place. 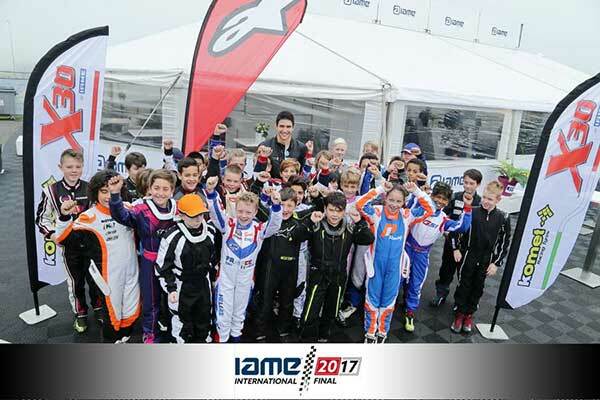 Force India Formula 1 driver, Esteban Ocon, was delighted to find himself back in the kart milieu, which propelled him onto the international motor racing scene. 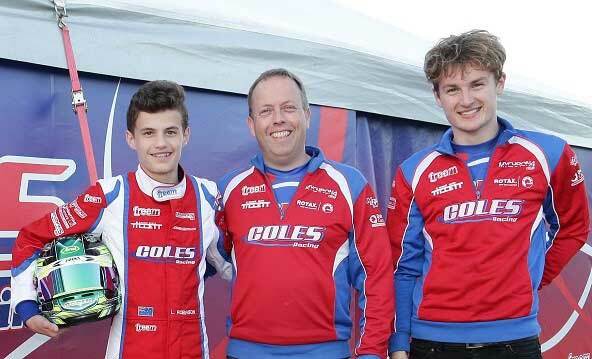 The former triple French kart champion met up with the young drivers in the X30 category. Ocon is keeping a close eye on his promising young fellow-countryman, Jimmy Helias. For the moment Spaniard Mateo Rubio Luengo has set pole position in front of two Americans, Santiago Trisini and Brent Crews. 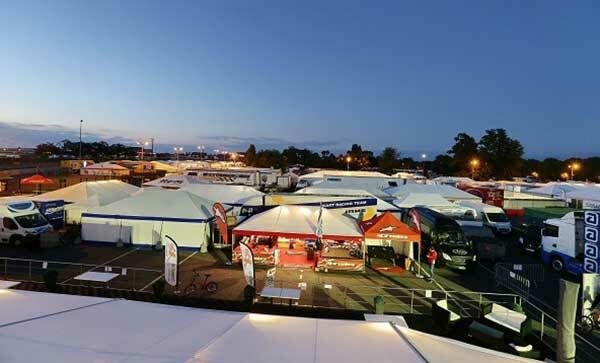 What’s so special about the Challenge X30, which is famous for its level playing field and the excellent ambience that reigns in the paddocks, is the fact that it brings together privateer drivers who turn up with their own outfit as well as teams of varying sizes and works squads used to the major international events. CRG Racing Team, Energy Corse, Chiesa Corse, Dan Holland Racing, FA Racing Spain, Baby Race, PDB Racing Team, VDK Racing, Fusion Motorsport, Kart Pro Racing, SG Driver’s, Mach1 Motorsport, RSD Karting, Kohtala Sport, Idéal Kart, Spirit Racing, Ricky Flynn Motorsport, Eurokarting, Strawberry Racing and many others meet up without problems at the big annual rendezvous. 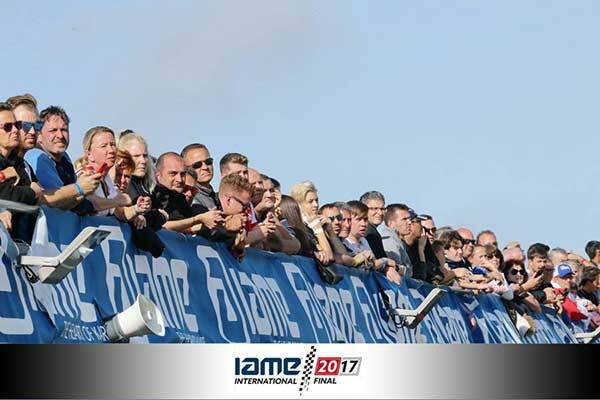 In the end they all have the same chances of winning: a situation that the IAME is determined to guarantee to the maximum to all the entrants to preserve the popularity of its event. 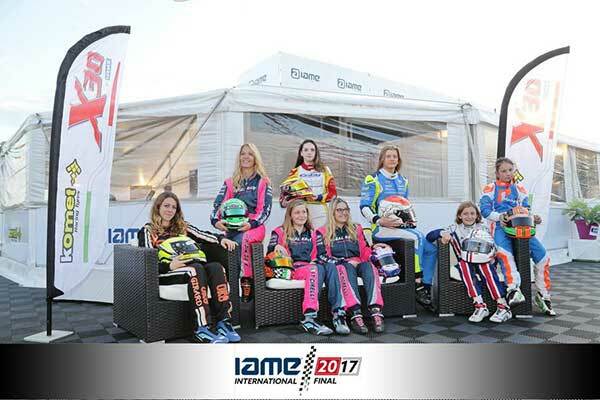 They come from Australia, Indonesia, Canada, Peru, Israel, Mexico, Oman, Russia, Portugal, China and the United Arab Emirates to race in the IAME International Final. In addition to crossing swords on the track or in the pits they will all meet up late on Saturday afternoon for the drivers’ presentation, a superb colourful show that will unite the whole X30 family.